Honda 2Wheelers India has officially commenced the deliveries for the recently launched Honda CB300R motorcycle which is inspired from Neo Sports Café. The nationwide deliveries of the motorcycle were carried out across the country wherein the keys were handed over to the customers in the cities like Chandigarh, Jaipur, Delhi & Gurugram. Moreover, the deliveries for the other cities will be carried out soon. Alongside the motorcycle, the Honda has also introduced new set of accessories that adds character to the bike which includes 16 independent options and 4 customised kits. 2019 Honda CB300R Motorcycle With Neo Sports Café DNA Launched in India at Rs 2.41 Lakh. 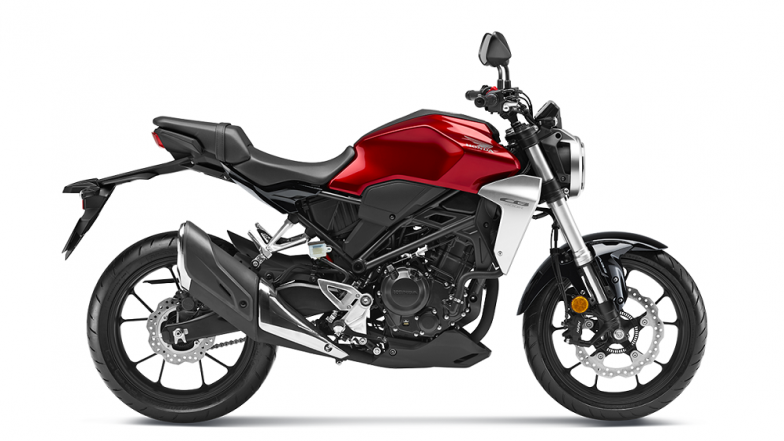 The new Honda CB300R motorcycle is available in two exciting colour options - Candy Chromosphere Red and Matte Axis Gray Metallic. As far as the prices are concerned, the new motorcycle from Honda costs Rs 2.41 lakh (Ex-showroom, India). The interested buyers can book the new CB300R across all Honda's Wing World dealerships throughout India. The complete list of official accessories for CB300R comprises of Crank case cover, radiator cover, Kitaco under guard, H2C washer set, Kit Fuel Lid Pad, Handle Grip Weight, Oil Brake Cap, Oil Brake Cap Rear, Handle Bar clamps, Frame bolt, G Craft Headlight Mask, Kitaco Short Rear Fender, Bike Body Cover, Air Valve Cap, Rear Service Stand H2C and Oil Filler Cap Black. Moreover, the four premium accessory kits include Premium, Protection, Standard & Sports.